Head of Music at Long Bay College, Auckland New Zealand. I have a BMus, LTCL in Music Education and a diploma in teaching. I learned classical piano for twelve years before moving to more modern playing and have played piano professionally and accompanied many students over the past 20 years. 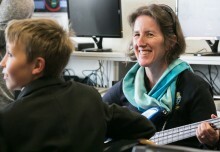 Long Bay College is excited to become New Zealand’s first Musical Futures Champion School. 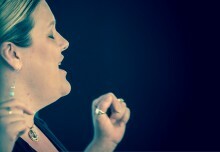 Head of Music Hadley Ronayne leads a department of two classroom teachers and 14 instrumental / vocal staff and Music is an option subject all the way through. The school runs several choirs, concert bands, a big band, jazz combos and a chamber orchestra all of whom participate in a large number of performances, concerts and competitions throughout the school year. They also hold a bi-annual school Musical production. Long Bay College is a yr 9-13 co-educational state school of 1700 students situated in the North Shore of Auckland. After receiving a staff scholarship to experience Music in England in 2015 Hadley was extremely fortunate to have been able to attend a week’s tour of Musical Futures schools around England which ended with his participation in the Musical Learning Revolution day in London. He followed this training up in 2016 with two the two day “Big Gig” course held in Melbourne in June. 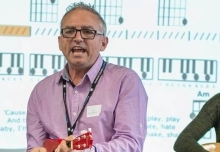 After 20 years of classroom Music teaching in New Zealand, Hadley found Musical Futures to be the perfect tool to combine what he was already delivering with a complimentary practical approach that offers outstanding resources and support in many areas of the curriculum. He has introduced a number of ideas into the junior programmes at Long Bay College including classroom ensembles, band carousel, composition pre-tasks, just play, chair drumming and rapping activities and looks forward to extending this more each year. By the time students reach Year 13 Music at Long Bay College they are able to choose their own course from a variety of standards in solo and group performance, composition and arrangement, music research as well as external exams in aural, harmony and music works. 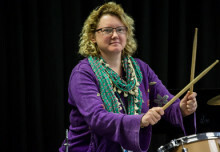 Musical Futures supports building the foundations for students in all of these standards, makes things more engaging and fun for them and has offered a large range of excellent resources as well as ongoing PD support for Hadley. 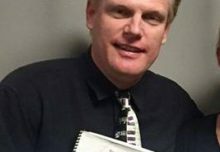 He is most excited to be able to help Musical Futures Australia set-up training for other New Zealand teachers in 2017 and to be able to continue expanding the Music Musical Futures approach within his department at Long Bay College.